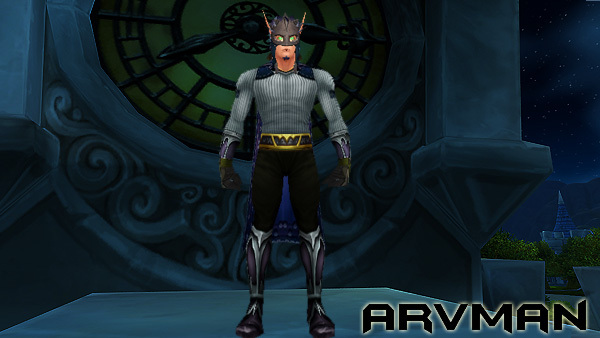 Got a late start on Call of Arms: Alterac Valley weekend, I didn’t get to log on until Sunday night. I had only planned to run a couple of games to cap 4 graveyards to get Alterac Grave Robber. It took four games, but now I can finally stop capping them, lol. The next game, right before the gates dropped, someone had yelled to turtle in Drek’s room. I guess most of the players in the group had been zerging and zerging all weekend and wanted something different to do. Surprisingly, the entire raid held back and didn’t bother to zerg Vanndar Stormpike. 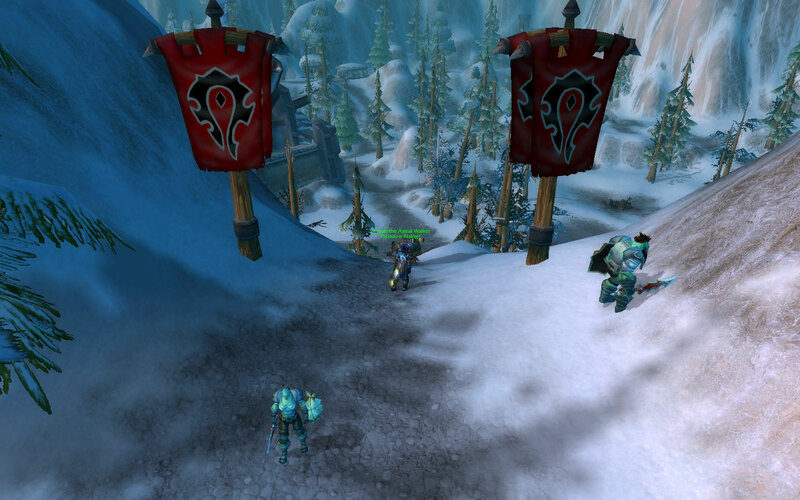 So we took camp in front of the Frostwolf Graveyard and waited for the Alliance to come. And they came. And they died….a lot. It was basically Alliance Farmville for us, the HKs were just piling up. I figured this was the perfect time to try to go for the Wrecking Ball achievee. I tried getting this achievement in an awesome Arathi Basin game a couple of weeks back, but came up short, dying twice in that game. 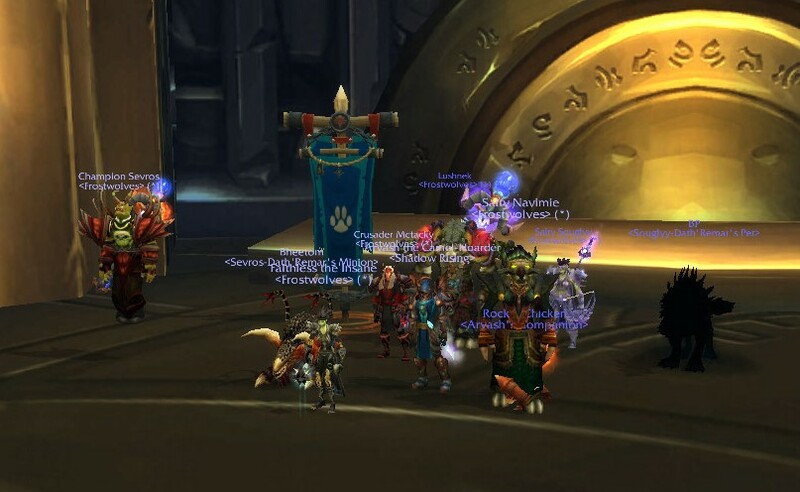 Our AV group had some really great healers that kept our front lines up, and in the final minutes, I finally got that achievee that eluded me the last time, as well as a crap ton of HKs. A pretty fun PvP night, even if I didn’t get to do it much this weekend, lol. Edit: Just a quick update. I needed about 12 more kills to get Loyal Defender, so I finished that up Monday night. I guess that’s all the easy achievees in AV now, lol. 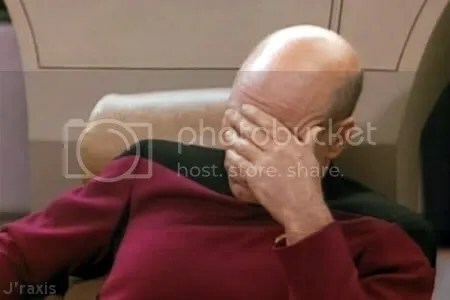 So I just finished reading and watching a couple of articles in regards to the new Symbiosis spell that Druids are getting in MoP. Essentially, it allows the Druid and another player to “trade” spells for a short duration, based on the player’s class and combat role and the Druid’s specialization. You can still use your normal spells; you just gain one extra spell. I was curious to see what paladins got and what they gave back to the Druid. Let’s first see what Druids get from Paladins. Balance Druids receive Hammer of Justice…I’m guessing this would be useful in PvP or to assist with controlling adds in a raid. 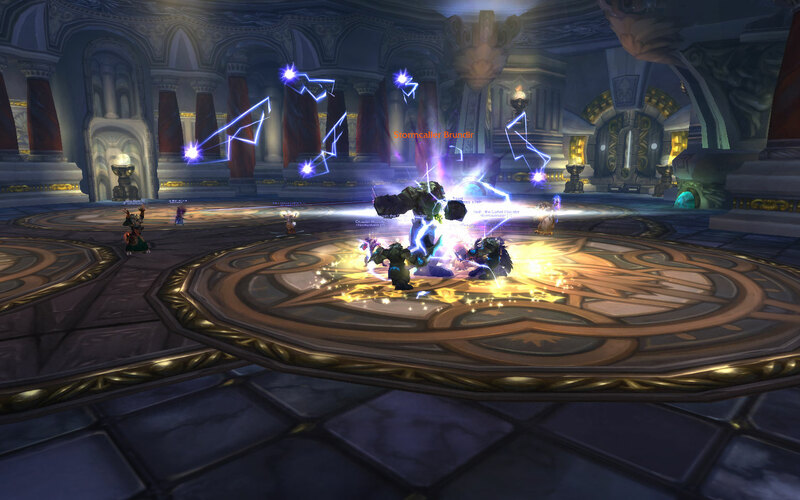 Feral Druids receive Divine Shield…this would be good for PvP or PvE content to mitigate heavy incoming damage, but would also cut feral damage by half for that duration. Guardian Druids receive Consecration…this would be useful to Bears in a raiding setting to allow them to gain and maintain AoE threat on mobs if you’re assigned to add duty. Restoration Druid receive Cleanse…Druids can already cure poisons, so this would be useful to cure diseases. These seem to be ok, nothing OP, with a mix of PvP and PvE usefulness. 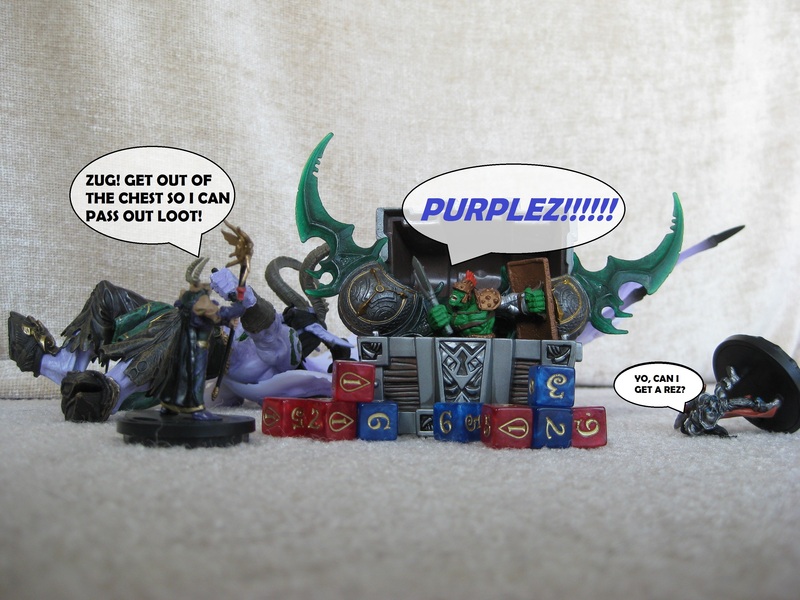 Now let’s take look at what Paladins get from Druids. Holy Paladins receive Rebirth….what? Holy Pallys get a brez??? Hell yeah! 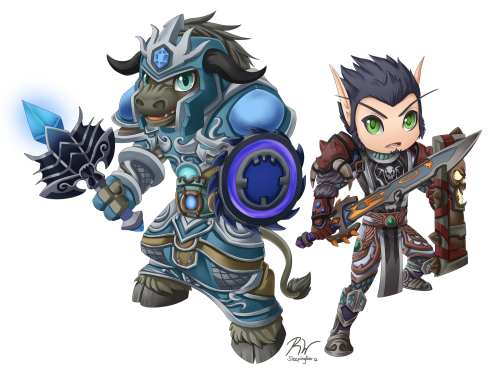 Protection Paladins receive Barkskin…meh, another CD for us, I think we’re good on them already. Now this is still in the beta, so anything is still subject to change. Please give us something other than Wrath! What do you guys think of the new Symbiosis spell and how it relates to your non-Druid class and spec? What about you Druids? 9 Comments Posted in Paladin, Thoughts Tagged /facepalm, new spells, Symbiosis, Wrath really? September 25, 2012….Are you ready for it? I know I am! 7 Comments Posted in Warcraft Tagged Pandamonium! Ulduar. I really can’t get enough of this place. It still is my favorite raid instance so far in my WoW raiding history. 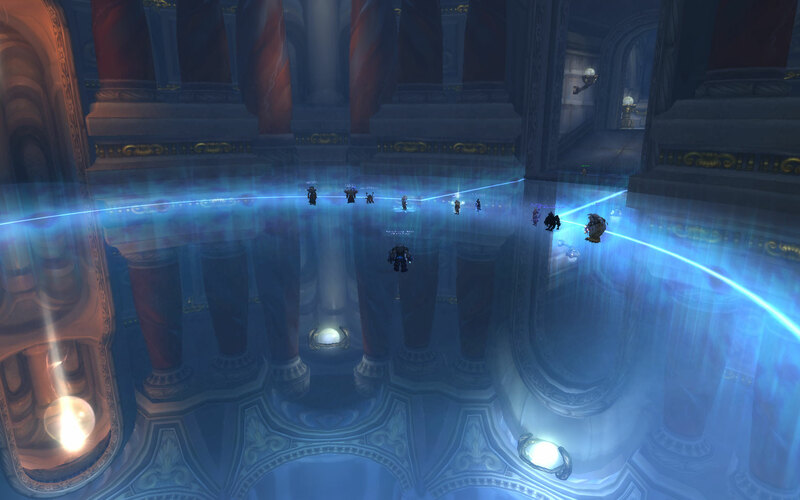 And it was also the first place that really got me into raiding. 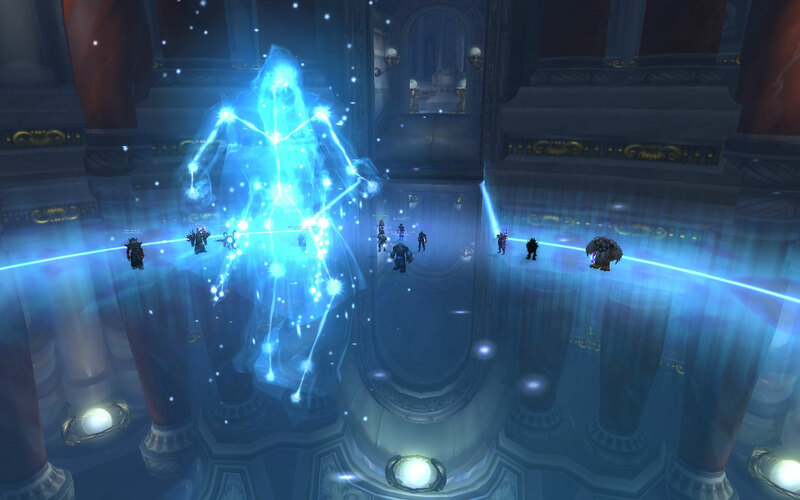 This raid instance is beautiful and amazing and just screams epic with its encounters and bosses. Like driving Siege Engines through hundreds of Dark Runed Dwarfs. Playing patty cake with a Stone Giant. Dancing with the Titans. Going crazy over an Old God. Even walking with a living constellation. 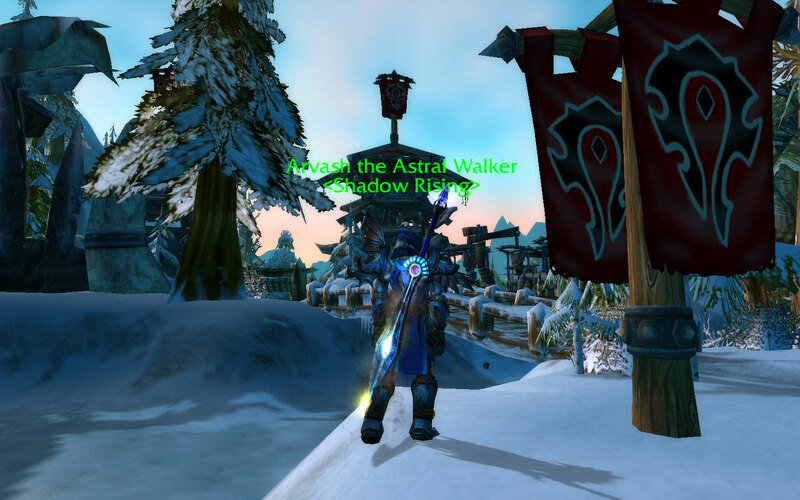 Sunday morning, I grouped up with Navi, Tacky and the rest of the Frostees to finish up some of the 25 man non-meta achievees that we didn’t get to last week. We went in with only 9 peeps; I think we had 15 the other week. I nabbed another 12 achievees to go with the 18 I got last week, lol. I picked up two pretty cool weapons from Ulduar. Earthshaper, a two-handed mace from Yogg-Saron and Stormrune Edge, a two-handed sword from the Assembly of Iron. 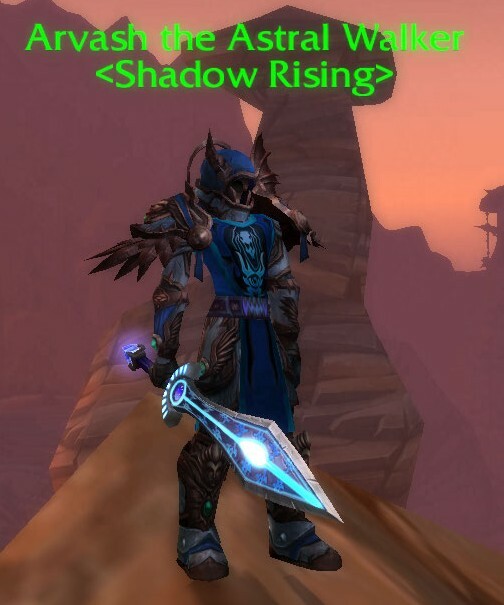 Now, the Stormrune Edge may have agility on it, but its model holds a special memory for me. Back when I was a noob raider in Wrath, I used to raid for a second raid team for a guild back on Firetree. 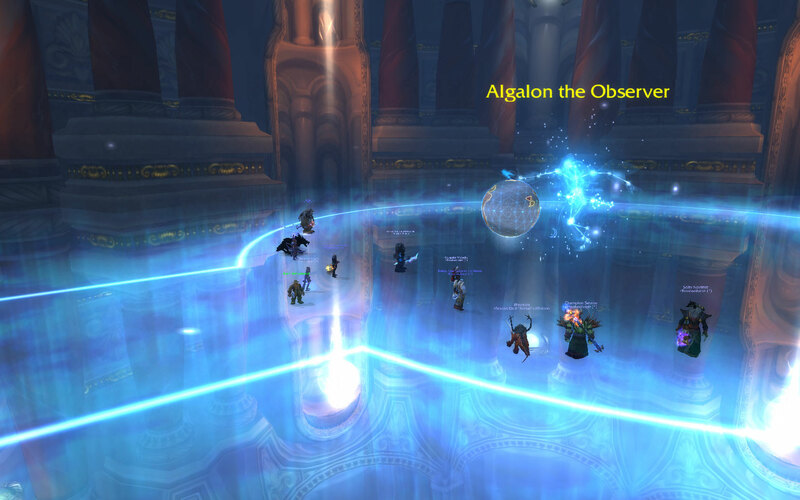 We would raid Ulduar every week, but never got close to completing it, maybe finishing up to Kologarn. But we would always do XT. And XT dropped the one sword I coveted the most, Aesir’s Edge. 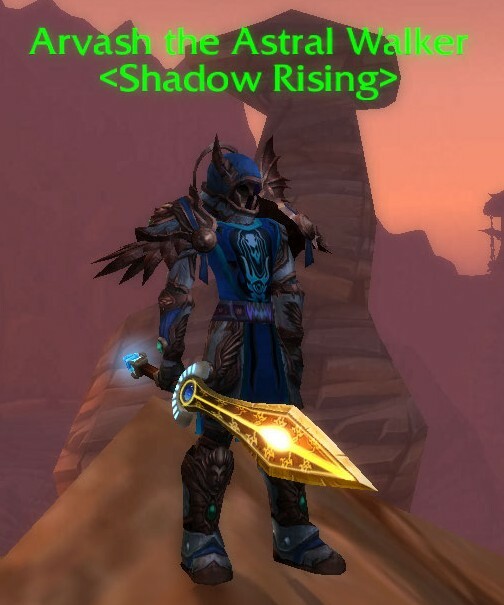 I saw this sword on another player and I thought it would look amazing on a ret pally. I wanted it sooooo bad. Every time the sword would drop, I’d always lose it to another melee dps (and our raid team was always melee heavy), sometimes losing the roll by a couple of numbers. But I never gave up, I wanted to raid every week just so I can get that damn sword. 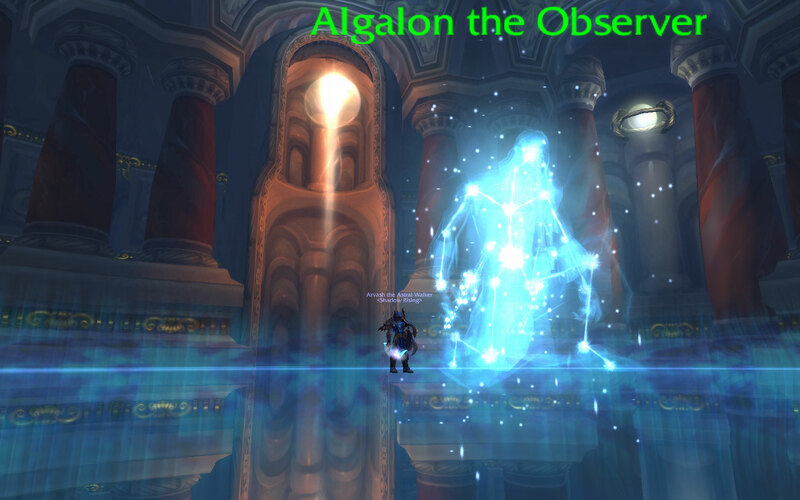 And then, one week, the stars on Algalon aligned, the rolls were on my side and I finally had won my sword. I was ecstatic, the sword was now mine! 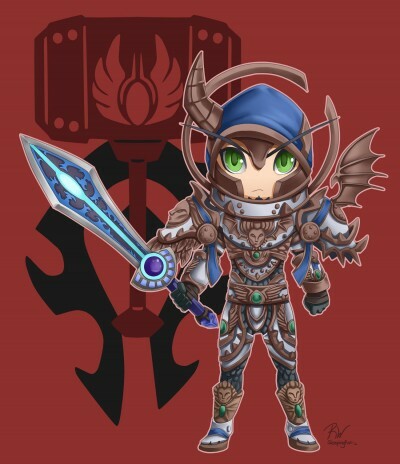 Lol, I still have that same sword I won back then and every time I see it in my bank, I always remember my early raiding days in Ulduar and that moment when that weapon dropped into my bags. Back in April, while Shadow Rising was working on the meta achievees for the Rusted Proto-Drake, I managed to snag the third weapon of this same model, Abaddon, which is my current mog for my weapon today. There is a fourth sword that shares this model, Voldrethar, Dark Blade of Oblivion, which drops off General Vezax in 25 man. Maybe one day that sword will be mine too, lol. 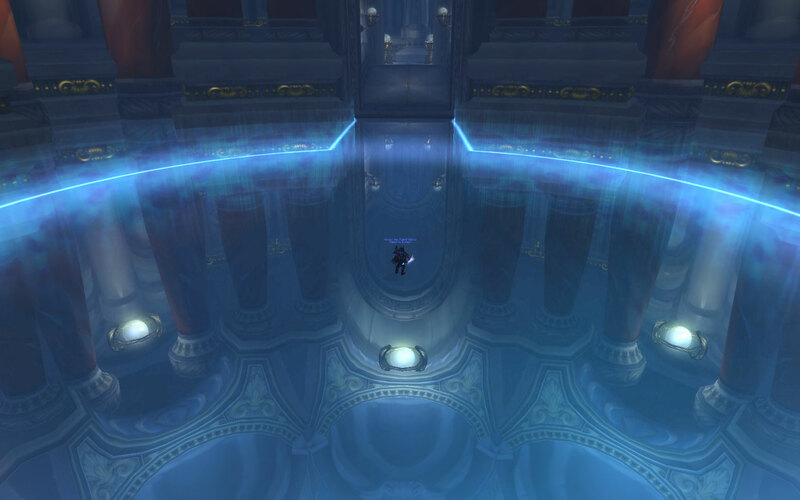 Here are some other screenshots from the Ulduar run. Sunday night, I had planned to attend JD‘s Laid Back Raid, where they were going to run Gruul’s Lair and Karazhan on the Horde-side, but I logged on too late coming back from dinner. From what I’ve read, it looks like they had a fun time in there. I’d join next week’s LBR in Onxyia’s Lair, but after my Alliance project stalled, my highest Alliance toon is only level 61. =( Maybe in two weeks then, lol. 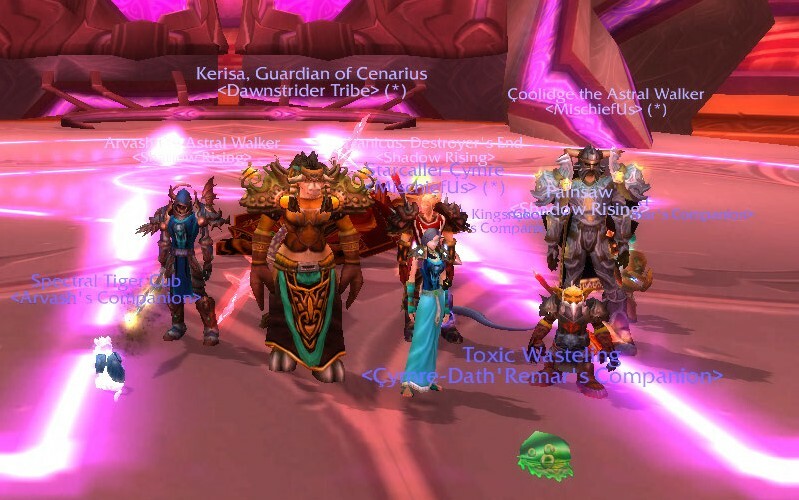 Another great weekend, raiding old content with guildies, Frostees and fellow bloggers!